1942 Issue Green Wooden Army Footlockers or Trunks with Metal Bracing and Hardware. Distressed From Use, but This Only adds Character. 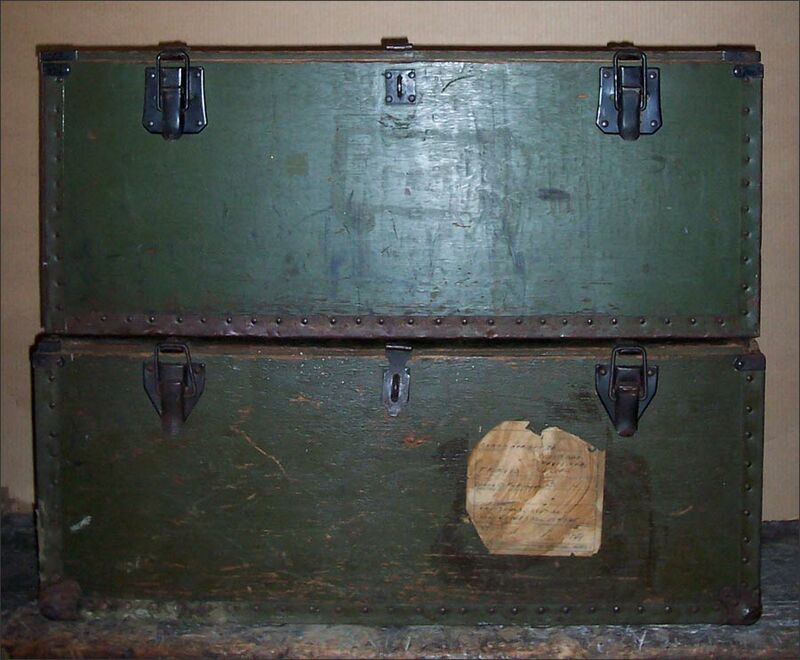 Very Solid Vintage Trunks, with no Drop-In Shelves. Two, Only of This Size and Date. 16” x 32” x 13”h.